Performance day hours may be different from the regular daily schedule. 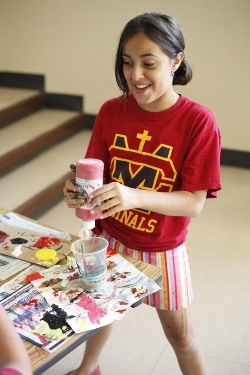 Students entering Second-grade (2) through Ninth-grade (9) are eligible to participate. $550.00 Please note that this tuition price includes the cost of 5 required tickets at $10 each. *Program is capped at 35 participants. 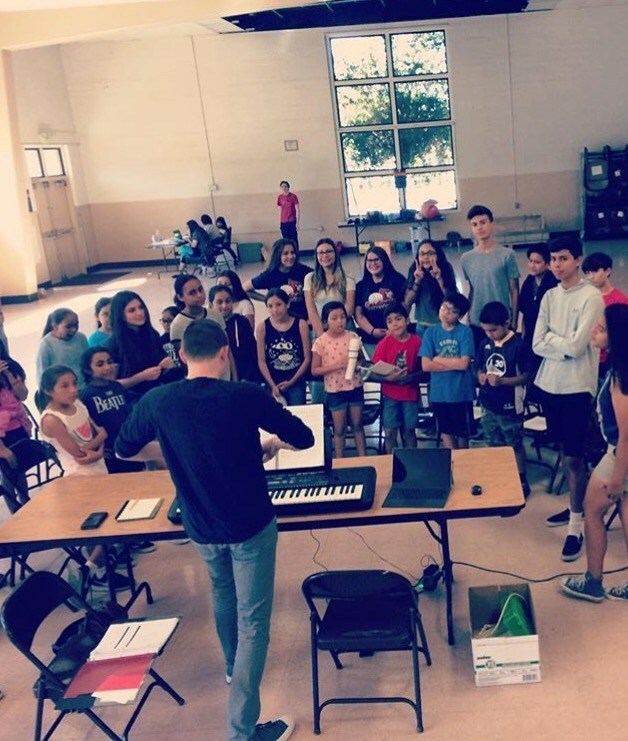 Our program offers kids the opportunity to produce and perform a full-scale Musical Theatre Production over a 4-week session. They will learn the basics of acting, singing and dancing for the stage, while also helping to build and paint sets, props, and costume pieces under the training of working theatre professionals and advanced theatre student leaders. The program will culminate in 4 performances beginning July 12th. 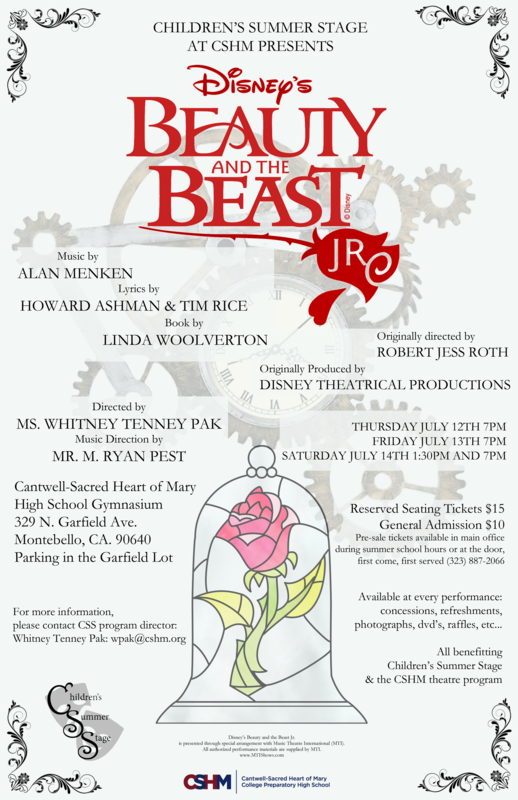 This summer we are re-mounting CSHM's successful Spring Show, Beauty & The Beast, JR! Monday, June 18th, on the first day of the program. We will teach songs and have audition scenes at the auditions. Take a look at the show page on the MTI website for information.